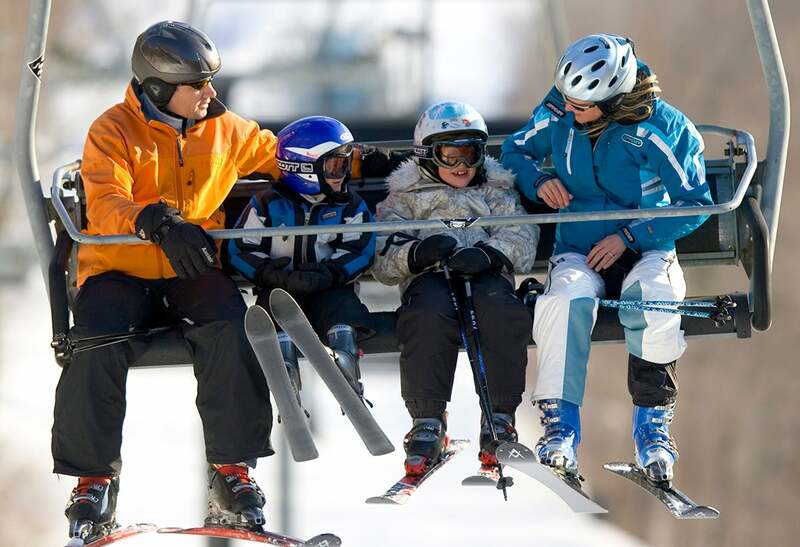 If you’re looking to take your family’s ski skills up a notch this winter, it won’t happen with the occasional group or private lesson. Sunday River’s season-long programs for children and adults will get you there, and with more than two feet of fresh snow, and at a little more than three hours north of Boston, there may not be a better place to learn. The program has nurtured stars like freestyle ace and Bethel native Troy Murphy, who will compete in this year’s Winter Olympics in Pyeongchang, South Korea. Veterans like Murphy often return during holidays to help instruct, mentor, and inspire the next generation of competitors. Most of Sunday River’s programs have morning and afternoon sessions on Saturdays and a morning session on Sundays. Making life easy, adult programs sync with kids’ sessions so that logistics are simplified and families can reconvene at the end of the day without a mad scramble. Seasonal programs started in December, but it’s not too late to sign up. The programs don’t have a rigid months-long curriculum. Instead, instructors start with the skills skiers bring to the mountain that weekend, with personalized attention rather than a one-size-fits-all mentality as the guiding philosophy. Here’s a quick look at what skiers of all ages can get out of Sunday River. Master the mountain as a family with programs designed to enhance confidence, agility, and technique. 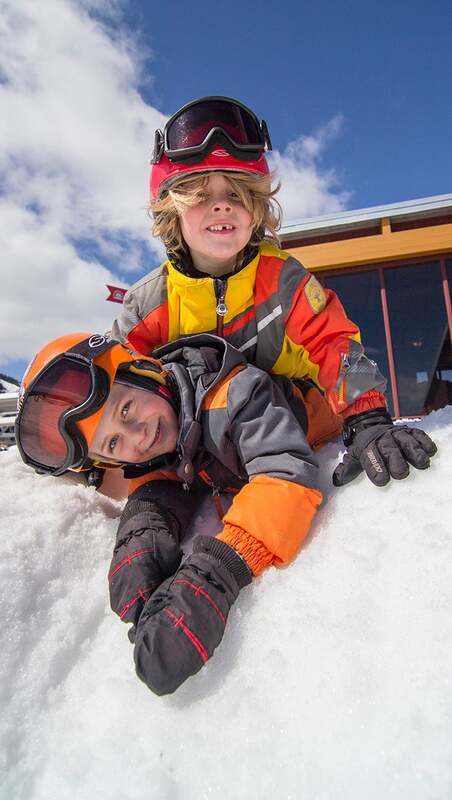 If skiing is a part of your family’s fabric, its identity, then why not start young? The Mini Runners program, for kids ages 3 to 5 of all abilities, takes that philosophy to heart. 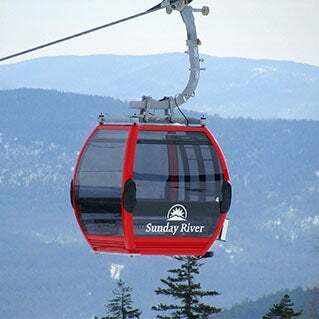 Not that Sunday River stalwarts should be on the lookout for 4-year-olds blowing past them on White Cap. “Safety, fun and learning, in that order,” are the goals of all season-long programs, says Matt Erickson, director of the Sunday River SnowSports School. For Mini Runners, that means focusing on the fundamentals. By the end of the season, most Mini Runners can ski independently on intermediate terrain. And remember! They are 3 to 5 years old. 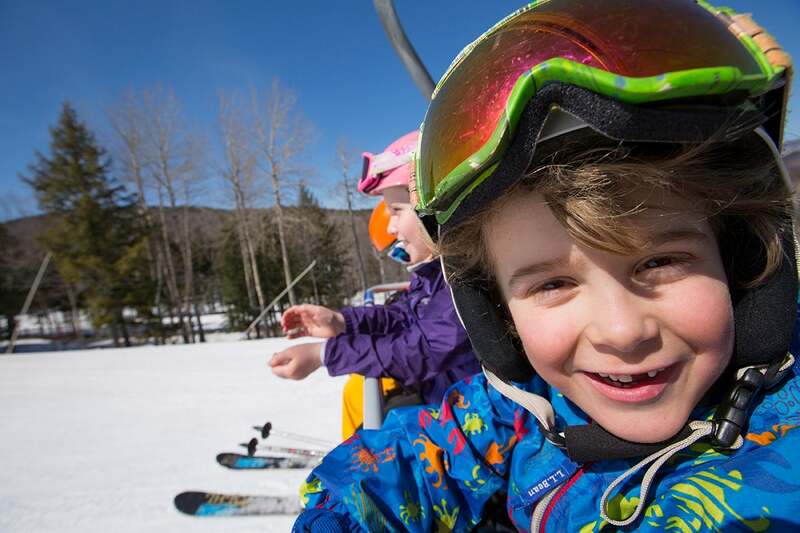 River Runners offers a little of everything, which makes sense when you consider it’s for ages 6 to 12, a range that will include pizza wedges and skilled mogul skiers and boarders. Instructors evaluate newcomers to help place them with their skiing and boarding peers. There can be as many as 10 River Runner groups on any given weekend. That allows targeted training for each group, which never has more than 8 members. Erickson says there’s a fine line between skiing everything and skiing well, and that for eager young skiers, “We err on the side of teaching technique, so that as they get better technically they can take those skills to different situations.” By the end of the program most River Runners will have skied the whole mountain. Of course the main thing kids want from weekends at the River is fun. But it turns out that, while they’re having fun, they’re also setting themselves up for success in the rest of their lives. There’s solid evidence that children whose play involves a lot of motor skills, or coordination to produce movement, perform better academically and even socially in school. Other research has found that kids better develop those motor skills when they’re active in natural environments — over artificial ones — like playgrounds. There are two programs for experienced skiers ages 13 to 16: 8 Peaks and Junior Professionals. Erickson calls the other non-competitive teen program, Junior Professionals, “kind of an understudy program for skiing professionals.” Instead of focusing on becoming the best skiers they can be, Young Professionals learn the skills and techniques needed to instruct others. While having fun in full gear on the powdery snow, kids are also learning how to become skillful skiers. About 300 alpine and freestyle skiers and snowboarders make up the Gould Academy Competition Program. A partnership between the resort and nearby Gould Academy in Bethel, the program guides athletes ages 7 to 19 who want to compete in one of those three disciplines. The biggest age representation is 12-to 14-year-olds; there are smaller groups within each age bracket, based on ability.